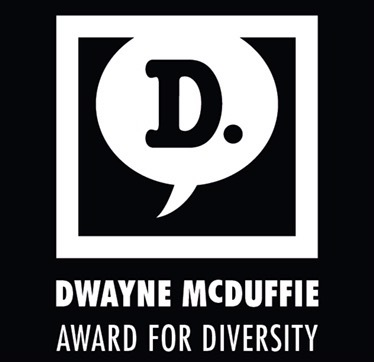 Entering its third year, the Dwayne McDuffie Award for Diversity in Comics is a prestigious honor and a wonderful way to keep McDuffie’s spirit alive. The judges for 2017 have just been announced, and entries are open. And disclaimer, I am once again a judge and extremely honored to do so. The awards have a new director Will J. Watkins, and several new Selection Committee Members: Mark D. Bright, Don McGregor, Kevin Rubio, Cassandra Pelham and Gail Simone. Returning judges include Joe Illidge, Joan Hilty, Neo Edmond, Matt Wayne, Len Wein and myself. The winner will be announced at a reception on February 18, 2017, in Long Beach, CA during the Long Beach Comic Expo. As a judge I’m going to stump as much as I can to get people to submit. Every year I come across some great work I was unaware of and I know there’s even more out there. The deadline is December 31st, 2016 and all the guidelines for how to submit are here. To commemorate his vision and contributions, the new Smithsonian National Museum of African American History & Culture, grand opening September 24th, has invited Dwayne McDuffie to be included for posterity. The deadline for completed submissions for the third annual Dwayne McDuffie Award for Diversity in Comics is December 31, 2016. 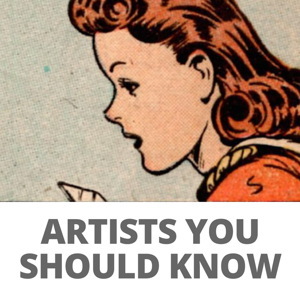 Mark D. Bright is a storyboard artist for commercials, television and feature films. Prior to his career as a storyboard artist, he was an artist for Marvel, DC, Acclaim and Milestone Media working on titles including Iron Man, Green Lantern, I. Joe, Power Man and Iron Fist and Icon. He is also the co-creator of Quantum and Woody. Neo Edmund – is a former child actor turned bestselling author, screenwriter, comic book writer, story development exec, and Virtual Reality director. He is the author of The Red Riding Alpha Huntress series published by WordFire Press. He is currently writing numerous books including a Predator anthology and the reboot of Colt The Outlander. Joseph Illidge is a Senior Editor for Lion Forge Comics, a columnist for Comic Book Resources and The Shadow League, and the co-writer of Solarman for Scout Comics. His editorial career began at Milestone Media, Inc. He then joined the Batman Editorial Group at DC Comics, and later worked for Archaia, now a division of BOOM! Studios. His graphic novel, The Ren will be published by First Second Books, a division of Macmillan. Heidi MacDonald is the editor-in-chief of Comicsbeat.com and a former editor for Disney and DC Comics. She also edits the graphic novel review section for Publishers Weekly and can be heard on PW’s weekly podcast More To Come. Don McGregor is a writer whose notable comic books for Marvel Comics include Jungle Action, where he did the seminal work on Black Panther and Amazing Adventures Featuring Killraven, which contained the first interracial kiss in a color comic book. He also created Sabre, one of the first modern graphic novels. Don’s groundbreaking career garnered him the Bill Finger Award for Excellence in Comic Book Writing last year. Kevin Rubio is a writer/producer who has contributed to Justice League Action, Avengers Assemble, Thunderbirds Are Go!, Green Lantern: The Animated Series and My Little Pony: Friendship Is Magic. He is also the creator and writer of the Star Wars graphic novel Tag & Bink Were Here and Red 5 Publication’s Abyss I & II. He is an inaugural recipient of the George Lucas Film Award for his Star Wars short film, TROOPS, a Promax Award winner and Emmy nominee. Cassandra Pelham is a senior editor for the Graphix and Scholastic Press imprints at Scholastic, where she has edited award-winning, #1 New York Times bestselling, and USA Today bestselling graphic novels. Gail Simone is a writer known for the DC titles Birds of Prey, Secret Six (for which she was nominated for a GLAAD Media Award), Batgirl, Wonder Woman and The All-New Atom. She recently wrote Dark Horse’s Tomb Raider, Dynamite’s Red Sonja and is currently working on DC/Vertigo’s Clean Room. 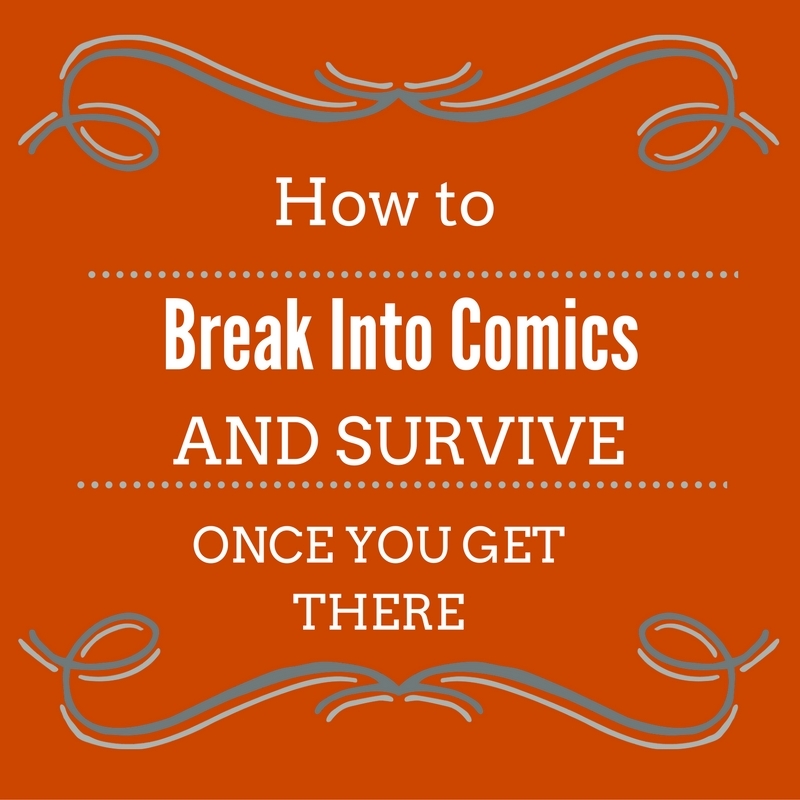 Will J. Watkins is a film and animation writer who is also comic book story/world-building consultant on The Protectors graphic novel published this year by Athlita Comics. He had a stint as an assistant editor at DC Comics and before moving to L.A. he owned Chicago’s first African American-owned comics store and is currently writing a novel about the experience. Matt Wayne has written on many highly-regarded animation projects including Niko and the Sword of Light, Cannon Busters, Transformers: Robots in Disguise, Avengers: Ultron Revolution, Thunderbirds Are Go! and the 2006 Biker Mice from Mars revival. He wrote the Emmy-nominated Hellboy Animated: Sword of Storms and was also a writer and Managing Editor at Milestone Media. Len Wein is the legendary animation and comic book writer who co-created Swamp Thing, Wolverine, and the wildly successful diverse new team of X-Men that debuted in 1975; He’s had the distinction of serving both as Editor-in-Chief of Marvel Comics and Senior Editor at DC Comics. The Will Eisner Comic Book Hall of Famer’s most recent comic book Batman “66: The Lost Episode was released last year. Dwayne Glenn McDuffie was born and raised in Detroit, Michigan. The middle son of Leroy McDuffie and Edna (Hawkins) McDuffie (now Gardner), Dwayne attended the prestigious Roeper School for gifted children before going on to earn undergraduate degrees in both English & Physics as well as a graduate degree in Physics, all at the University of Michigan. (Go, Blue!) He later also studied filmmaking at New York University’s Tisch School of the Arts. Dwayne first entered the comic book industry as an Editor at Marvel Comics, thanks to his NYU friend Greg Wright with whom he recreated the Deathlok character into the one in use today. With artist Ernie Colón, Dwayne also co-created the comedic Marvel team book, Damage Control. Static, Icon, Hardware, Xombi—to name just a few. Throughout his career in the comic book industry, Dwayne created or co-created these and more than a dozen other series, in addition to writing stories for too many other titles to list but here are some highlights: Justice League of America, Fantastic Four, Spider-Man, Batman: Legends of the Dark Knight, Captain marvel, Avengers Spotlight, Hellraiser, Ultraman, even The Tick, and Back to The Future. Dwayne also co-created The Road To Hell with fellow writer and Milestone editor, Matt Wayne, the inaugural Director of the Dwayne McDuffie Award for Diversity in Comics, established posthumously by Dwayne’s widow, Charlotte (Fullerton) McDuffie. Dwayne transitioned into the animation industry as a Story Editor and Writer on the Emmy-winning Kids WB series, Static Shock, which he co-created and for which he won the 2003 HUMANITAS PRIZE. Dwayne was also a Producer, Story Editor, and Writer on Cartoon Network’s JUSTICE LEAGUE and JUSTICE LEAGUE UNLIMITED animated series, for which he received a 2004 WRITERS GUILD nomination. With artist Glen Murakami, Dwayne redeveloped Man of Action’s BEN 10 animated series into BEN 10: ALIEN FORCE then BEN 10: ULTIMATE ALIEN—98 episodes of what became and continues to be an on-going, blockbuster, 230-episodes-and-counting franchise for Cartoon Network. Dwayne also wrote the animated features JUSTICE LEAGUE: CRISIS ON TWO EARTHS, ALL-STAR SUPERMAN, and JUSTICE LEAGUE: DOOM, as well as episodes of WHAT’S NEW, SCOOBY-DOO? and TEEN TITANS, all for Warner Bros.
For his indelible work in animation, Dwayne was posthumously presented with the WRITERS GUILD OF AMERICA’s 2011 ANIMATION WRITING AWARD, the first African-American in history to be so honored. 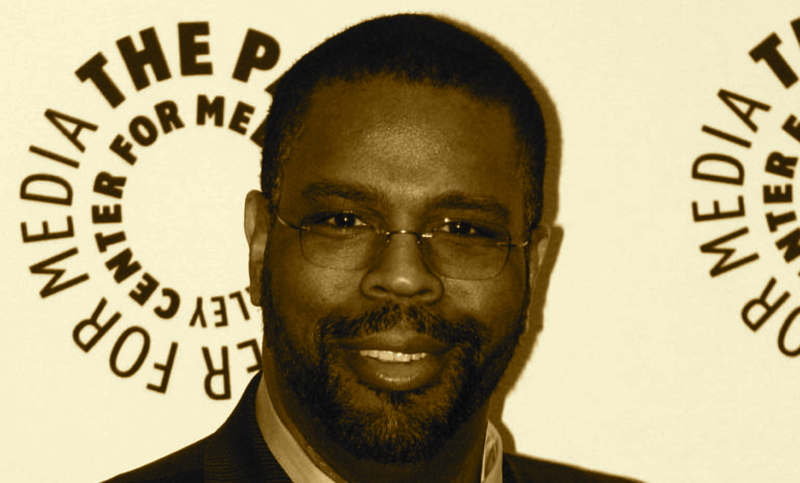 The winner of 3 EISNER AWARDS for his work in comic books, 11 PARENTS’ CHOICE AWARDS, 6 “BEST EDITOR” awards, the 2009 INKPOT AWARD presented by Comic-Con International, and a GOLDEN APPLE AWARD from his alma mater for his “use of popular art to promote and enhance human dignity,” Dwayne McDuffie’s life’s work exemplified both diversity and excellence. He led by example while presciently stating, “From invisible to inevitable”–now the motto of the “Dwayne McDuffie Award for Diversity in Comics.” The man may be gone, but his mission lives on. Dwayne’s widow, Charlotte (Fullerton) McDuffie, is a twice Emmy-nominated animation writer, best known for her work on Hasbro’s My Little Pony and Cartoon Network’s Ben 10 franchise. She is currently the first female chairperson in history of the Animation Writers Caucus at the Writers Guild of America. Long Beach Comic Con is an annual event held at the Long Beach Convention Center that celebrates comic books and pop culture and showcases the exceptional works of talented writers, artists, illustrators and creators of all types of pop culture. At Long Beach Comic Con, you’ll find exhibitors promoting and selling all types of related products, as well as entertaining and educational programs for all ages, guest signings and meet & greet sessions with celebrities. Long Beach Comic Con is a MAD Event Management, LLC production. To learn more and purchase tickets, please visit www.longbeachcomiccon.com. Have the nominees been announced?